After contesting the final round of the Trofeo D’Atunno (Autumn Trophy) meeting at Lonato last weekend as a warm-up, young Kiwi karters Jacob Douglas, Logan Manson and Kaden Probst are back at the South Garda kart track for the next three days to contest this year’s ROK Cup International meeting. 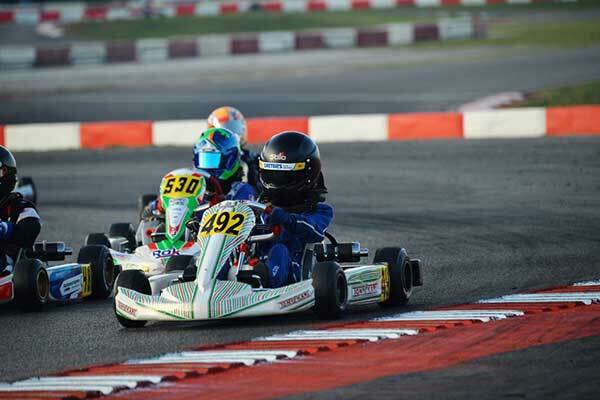 One of the biggest manufacturer-backed events on the global karting calendar, the 15th annual meeting will see 415 karters from 50 countries contest Vortex ROK category titles over five classes. 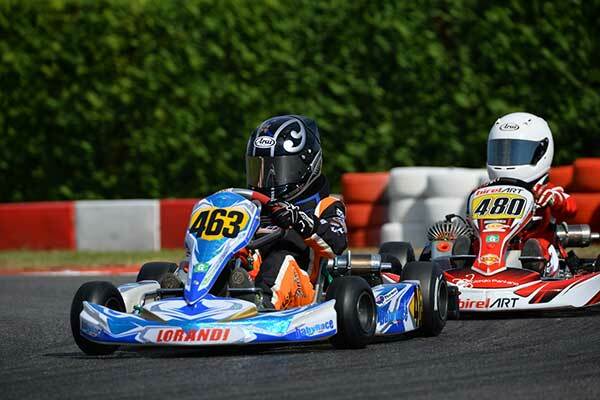 The three Kiwis are amongst the 165 drivers contesting the Mini ROK class. This year’s event is the fourth at which New Zealand has been represented with Ryan Wood from Wellington going in 2014, Billy Frazer from Pukekohe in 2015 and Breanna Morris, Joshua Parkinson and Mason Potter from Auckland, and William Exton from Picton competing in 2016. With 107 entries in the Mini ROK class alone, last weekend’s Autumn Trophy proved to be a baptism to fire for this year’s Kiwi group with only one – Levin’s Logan Manson – making it to a Final, finishing 22nd out of 36 in the B Final. That said, reigning New Zealand Vortex Mini ROK class champion Jacob Douglas from Christchurch, proved quick out of the box in qualifying with a 55.122, good enough for eighth place in the S3 group and 24th spot overall with Logan Manson 88th and Kaden Probst 89th. The three are racing in Italy with support from the KartSport New Zealand Elite Driver Travel Fund, a partnership with Dunlop tyres/Lascom Motorsport, Vortex Engines importer and ROK Cup NZL promoter Supreme Kart Supplies and the Motul oil distributor, High Performance Lubricants.